Reflecting Cape Cod’s active, boomer lifestyle, Ocean 104.7’s “Custom Crafted for the Cape” features singer-songwriters of the 70’s and artists continuing in the singer-songwriter tradition today such as Paul Simon, Sheryl Crow, Adele, Sting, Billy Joel, John Mayer, The Eagles, Fleetwood Mac, Colbie Caillat, Steely Dan and Michael Buble. The music, companionship of long-time area personalities like Dave Read and frequently updated local news, weather and community information make Ocean 104.7 a staple of the Cape Cod lifestyle. 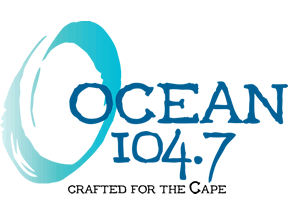 Reflecting Cape Cod’s more relaxed lifestyle, Ocean 104.7 locally programs its special blend of soft classic rock and today’s soft hits, the Cape Cod Broadcasting Newscenter updates local news, weather and information and Ocean 104.7 hosts highlight Cape Cod’s unique lifestyle soundtrack.